EngageSportMode is left somewhat perplexed by Vauxhall’s Adam. On one hand, we like the randomness of the customisation options and interesting styling. But, on the other hand, is it trying slightly too hard to be cool? We’re not sure. So, does adding a hotter version to the range make things any clearer? 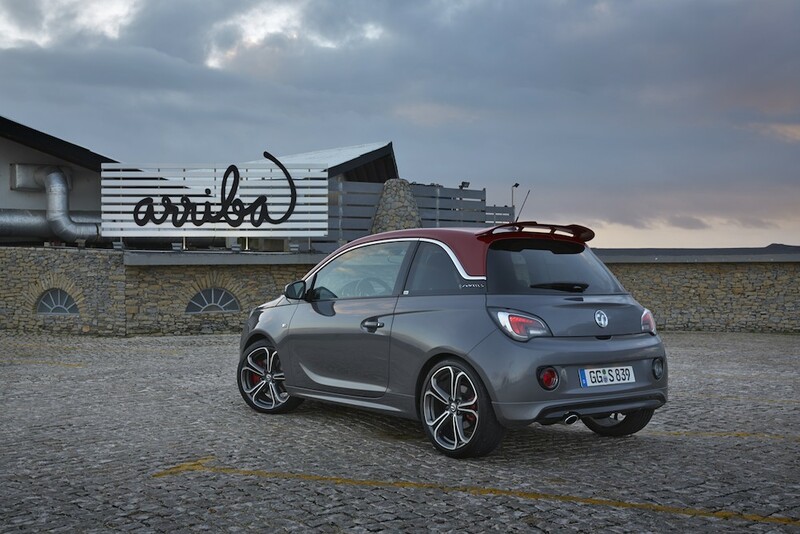 Yes, it’s actually called the Grand Slam, being the quickest version of the ‘Slam’ trim level that’s meant to represent the sporty choice in the Adam range. 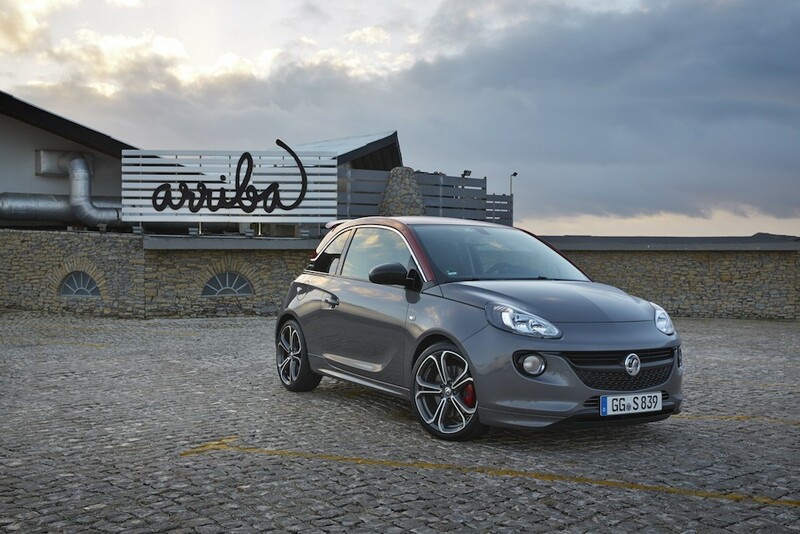 If the idea of driving a car called the Adam Grand Slam makes you cringe, then you’re probably not the kind of buyer Vauxhall is trying to snag in the first place; just be glad it’s not called the ‘Totes Amazeballs’ edition. Nomenclature aside, what makes this Adam so Grand? Well, chiefly, the 1.4 litre four-cylinder engine that makes 148 bhp (150 PS) and 162 lb-ft of torque. That’s a fairly substantial amount of power in a small car, with corresponding warm-hatch performance of 0-62 mph in 8.5 seconds and a 124 mph top speed. A six-speed manual gearbox transfers those horsepowers to the front wheels, whilst a Stop/Start system tries to keep fuel economy and C02 under control; 48.7 mpg and 139g/km respectively. Red brake calipers as standard. 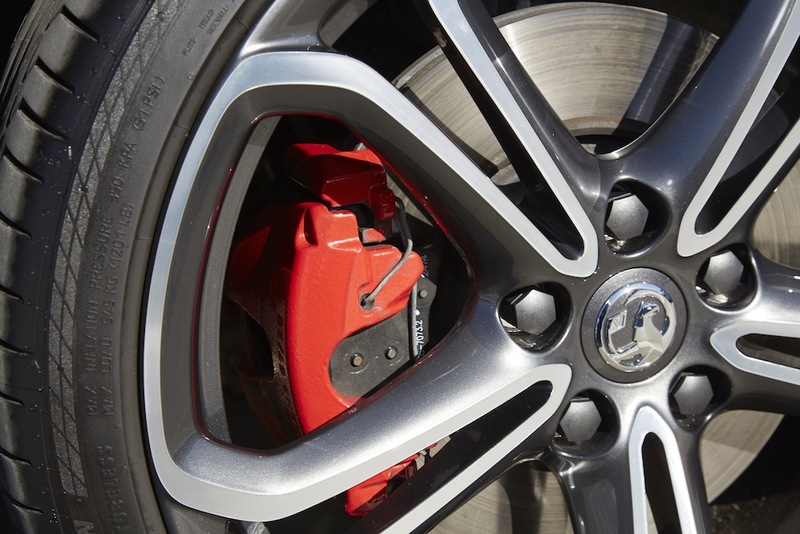 Backing up the extra power is a VXR braking system, with 16″ discs at the front and 15″ ones at the rear; large for such a small car. Befitting its name, the Grand Slam gets a performance chassis kit that drops it closer to the ground, with uprated springs and dampers. 18″ wheels hide those big brakes, and the ESP stability control can be turned off should you want things to get a little more lairy. Genuinely loving the carbon fibre effect grille on the Grand Slam. 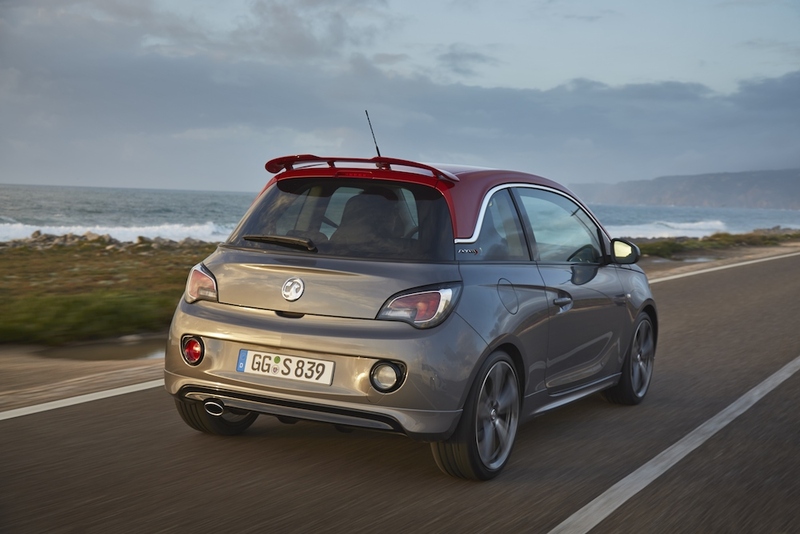 With a very distinctive rear spoiler, extended side sills and new rear bumper – featuring an Adam first of an exposed exhaust pipe – there are enough changes to distinguish the Grand Slam from lesser models. The ‘Red & Roll’ roof colour (yeah, really) is also exclusive to the Grand Slam, giving a total of ten body and four roof combinations to pick from. The red treatment continues inside if you opt for the leather package, with rouge cowhide covering the steering wheel, gear knob and handbrake. There’s the hot-hatch staple of aluminium pedals, joined by special floor mats, and an optional MINI-esque LED colour-changing light package. 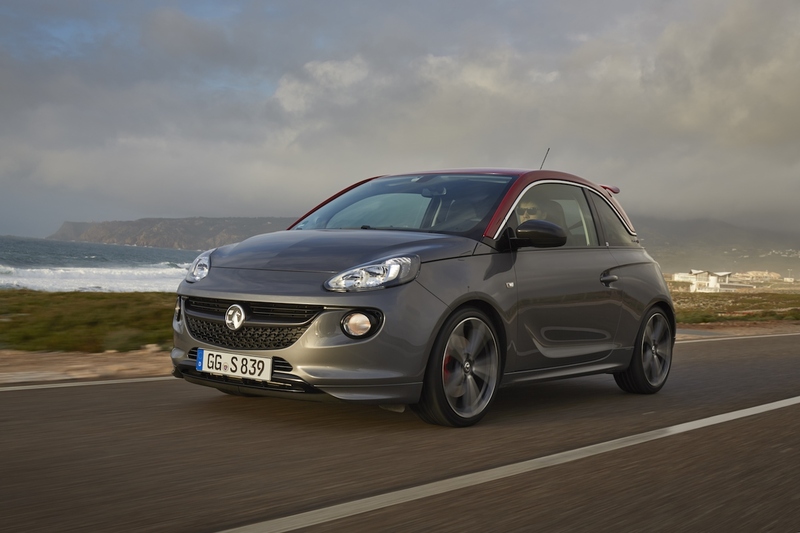 At £16,995 the Adam Grand Slam pitches itself into the market against some stiff competition. Despite being based on a platform that’s now some twelve years old, it’s chief rival the ever popular Abarth 500, both undercuts and outperforms the Grand Slam. 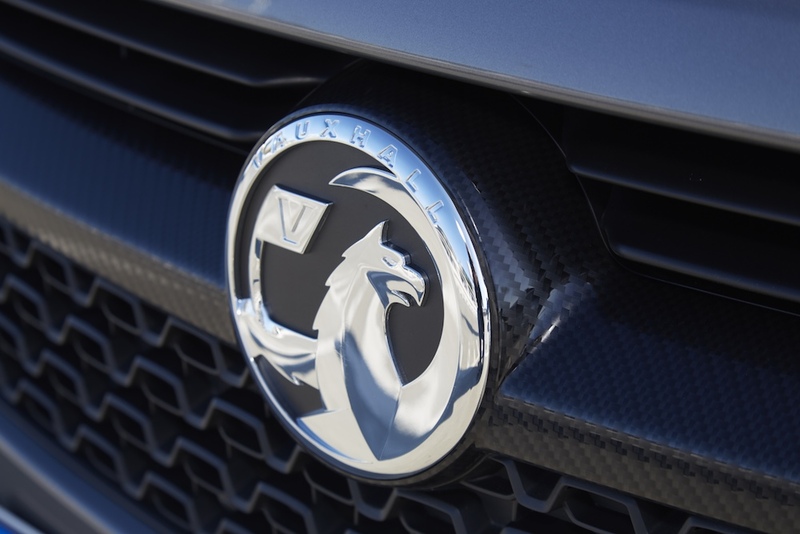 Perhaps this is why Vauxhall is being cautious in expecting only a few hundred Grand Slam’s to add to the 22,000 Adam’s sold in the UK since 2013. Go on. See if you can spot the new rear spoiler.